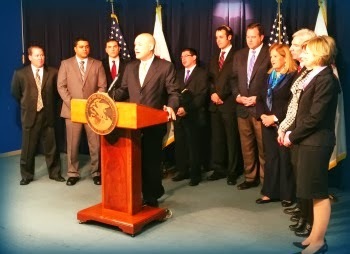 CHICAGO – Governor Pat Quinn today announced a series of steps to provide additional relief for consumers during the ongoing propane emergency in Illinois. The actions, effective immediately, provide additional financial assistance to help families pay increased heating costs this winter, and address certain inspections, which could slow down the delivery of propane to consumers. 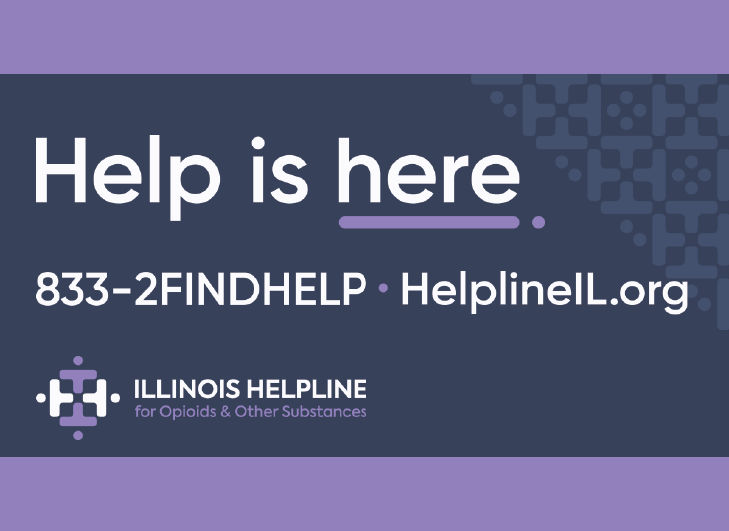 The Governor is also encouraging Illinois residents to report any suspected fraud that occur during this emergency to Attorney General Lisa Madigan. 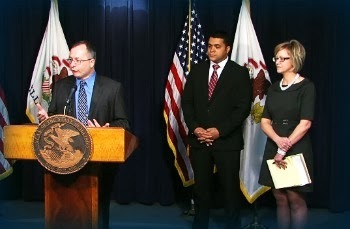 Today’s announcement is part of Governor Quinn’s commitment to helping keep Illinois residents warm and safe this winter. Today 23 Republican members of the Illinois House of Representatives signed letters sent to the Governor and Attorney General regarding the shortage of propane, urging them to take further action. 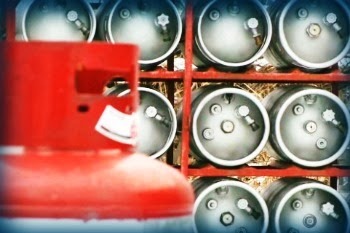 The shortage during severe weather is causing prices for propane to skyrocket. Many are finding it impossible to pay their heating bills and keep their families warm. 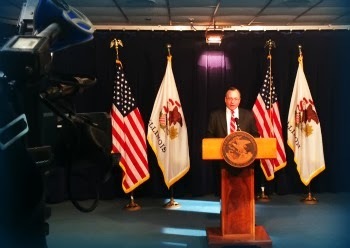 Additionally, they asked the Attorney General to protect Illinoisans from improper tactics firms may be using during the crisis to gouge consumers. Yet another study has placed Illinois in the worst fiscal condition in the nation. 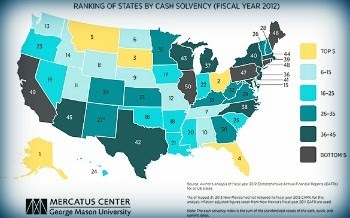 Research conducted by Dr. Sara Arnett of the Mercatus Center at George Mason University placed Illinois 50th in the report, State Fiscal Condition: Ranking the 50 States. The report pointed to poor decisions, both financial and economic as the leading indicator of poor performance. 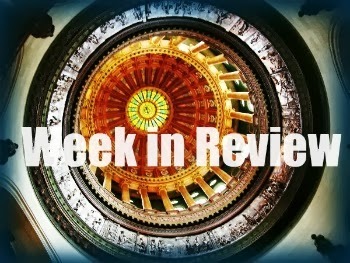 Big Medicaid changes could save money for Illinois taxpayers, but must be closely watched. The State of Illinois is pursuing a comprehensive restructuring of the way services are delivered to the 2.8 million enrollees who receive medical coverage through the Illinois Medicaid program. This restructuring, which would be directed through the federal ‘1115 Waiver’ process, would allow the use of innovative service delivery models not currently standard under federal Medicaid guidelines. On Wednesday, the House Human Services and Appropriations – Human Services Committees held a joint hearing, the second in a series of such meetings, to receive testimony from administration officials and stake holders regarding the proposed waiver. While the New Year will bring thousands of jobs to our neighboring states, Illinois is predicted to finish last in job growth according to a recent study conducted by Moody’s Analytics. 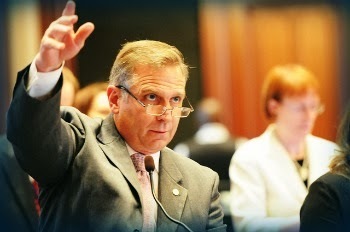 “I find the news that we are expected to be dead last in job creation extremely disturbing,” said Rep. Mike Bost. “Illinois should be growing and thriving. We have the resources, the manpower, and a central location that businesses desire; however leadership policy at the state and federal level has made it all but impossible for us to grow. I want to bring back Illinois and foster a sense of urgency when it comes to job creation in our state. I will do whatever it takes to bring jobs back to Illinois.” Read more. 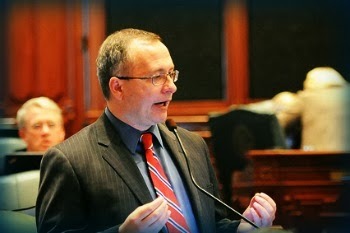 In the first of numerous hearings organized this year to address Illinois’ dim economic outlook, State Representative Dennis Reboletti (R-Elmhurst) joined the House Revenue and Finance Committee and House State Government Administration Committee to hear witness’ testimony on Illinois’ current tax policy and to examine possible reforms. Reboletti, who serves as assistant House Republican leader, called Friday’s discussion long overdue. Read the rest of the story. State Police report to General Assembly on concealed carry implementation. As of Tuesday, January 14, an estimated 20,000 e-applications for concealed carry permits had proceeded to the payment stage. State Police senior staff told the Joint Committee on Administrative Rules (JCAR), a key General Assembly oversight panel, that new applications were proceeding toward the approval stage at a rate of approximately 1,000 applications each working day. This marked continued progress towards providing concealed carry permits for an estimated 400,000 Illinois residents who qualify for them. Applicants are required to submit identification information, and proof of firearms training, to move to the permit stage of the process. The State Police told JCAR that they hope to start releasing the first wave of concealed carry permits in early March. 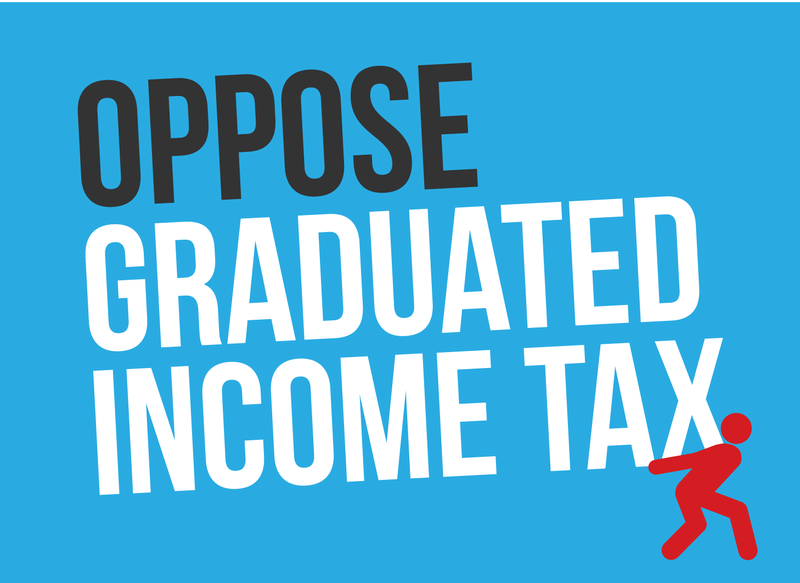 oppose a tax increase for Illinoisans. At a recent press conference to discuss the latest call to renew a tax increase proposal, Rep. Ron Sandack told reporters that all 47 Republicans in the Illinois House oppose a graduated income tax. A group of suburban Republican state lawmakers said Wednesday that no House GOP members will vote for a graduated income tax, a system that taxes people based on how much they earn. 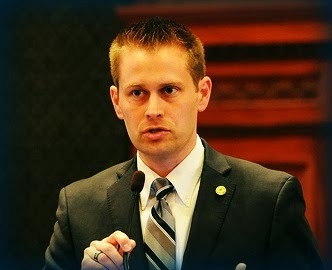 At a Chicago news conference, state Rep. David McSweeney of Barrington Hills touted his resolution opposing the idea, which has garnered nearly enough support so far in the Illinois House to block a change. Mike Riopell has the story in the Daily Herald. 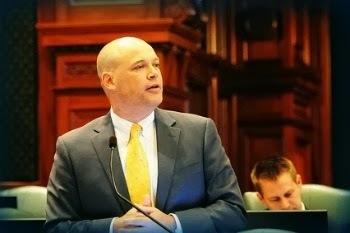 Rep. Ron Sandack on floor of the Illinois House of Reps. Earlier this month a polar vortex settled over the state wreaking all sorts of havoc including the cancelation of dozens of Metra trains that left many Illinoisans stranded in the cold. Rep. Ron Sandack wants to get to the bottom of the system failure at Metra that left thousands of people waiting on unheated platforms for long periods of time, stuck on immobile trains and delayed for hours. In a letter sent to Speaker Madigan today, Rep. Sandack requested a hearing be scheduled this month to question Metra officials about reliability issues and what procedures they will be put in place to ensure the safety of transit passengers in future cases of extreme weather. More on Rep. Sandack's website. Republican state lawmakers are drafting legislation to ban former gang members from working for the Illinois prison system and three other state agencies in the wake of a Chicago Sun-Times investigation. 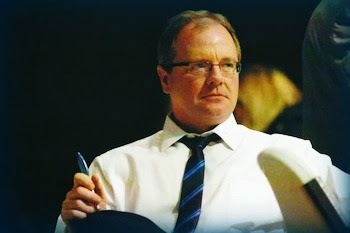 Under the proposal by Reps. Dennis Reboletti, R-Elmhurst, and John Anthony, R-Morris, a person who is “documented to have been a member of a criminal gang” would be prohibited from employment by the state Department of Corrections, State Police, the Department of Juvenile Justice and the Department of Children and Family Services. SunTimes reporters Chris Fusco and Frank Main have the story. Governor’s budget projection forecasts increased deficits, bill backlog. The Governor’s Office of Management and Budget (GOMB) is required by P.A. 96-1354 to annually file a three year budget projection which forecasts expected general funds revenues and expenditures based on current statutes. The projections also include expected bill backlogs for each of the coming fiscal years. GOMB recently filed the 3 year budget projection covering FY15-FY17 and an Economic and Fiscal Report providing context for the numbers. As can be expected, the phase down of the income tax increase has a drastic, but not unanticipated, impact on revenue and past due liabilities. The 3 year projection estimates that the old bill backlog at the end of FY17 will surpass $16.2 billion – nearly 50% of all general funds revenue available for the year. Hours after FEMA denied the state’s request for federal assistance to help local governments in nine counties recover expenses related to the deadly storms on Nov. 17, The governor announced the state will appeal the decision. 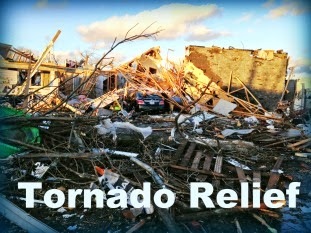 While the federal government has approved millions of dollars to date of aid to help people and businesses recover, today’s decision denies aid to local governments in impacted communities throughout Illinois. Illinois ranked as the second-highest state in out-migration in 2013, according to United Van Lines’ Annual Migration Study. Illinois held steady at the number two spot after falling from the top spot in 2011. State Representative Bill Mitchell (R-Forsyth) wants Illinois to address the ongoing exodus of families to states with better job climates. 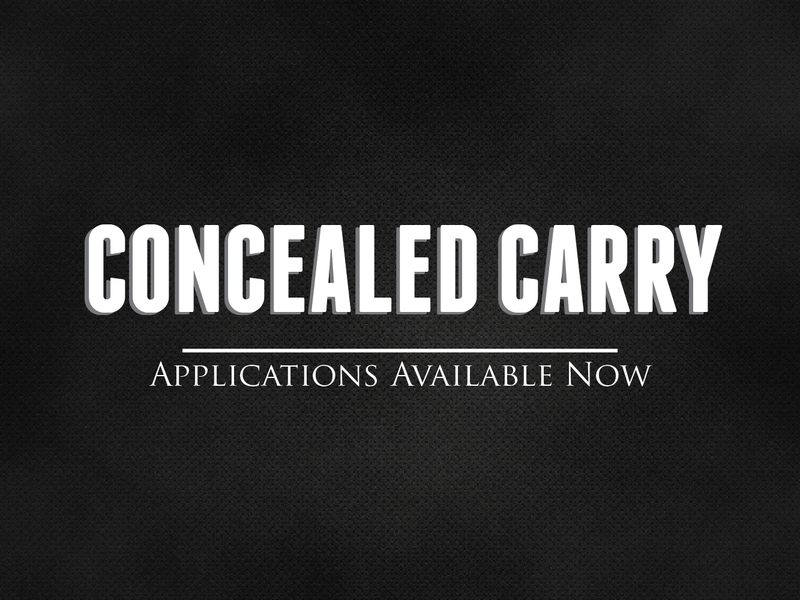 On January 5, 2014, Illinois residents began applying for concealed carry permits. 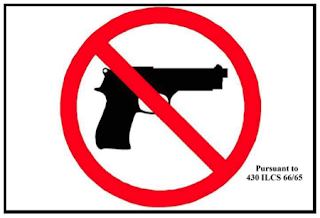 Below is Q&A to help you understand where concealed weapons can be carried and where they are prohibited. Am I permitted to carry a concealed firearm while going out to dinner? Yes and No. Concealed carry is prohibited at restaurants that make more than 50% of their gross income from the sale of alcohol. These restaurant owners will need to make it clear to patrons that concealed carry is prohibited in their establishments. Additionally, all other private businesses including restaurants can decide whether to allow concealed carry. 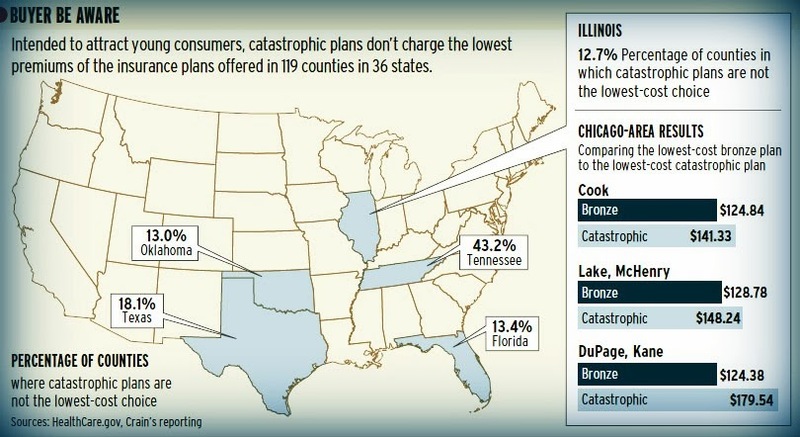 Four states, including Texas and Florida, also offer catastrophic plans that aren't the lowest-cost alternative, according to an analysis of more than 2,700 plans offered in 36 states where the federal government is running the exchanges. Andrew L. Wang at Crain's has the story. A federal judge on Monday stripped away a key element of Chicago's gun ordinance, ruling that it is unconstitutional to prohibit licensed gun stores from operating in the city. U.S. District Judge Edmond Chang found that the city failed to convince him that banning the sale of guns by licensed dealers was necessary to reduce gun violence. 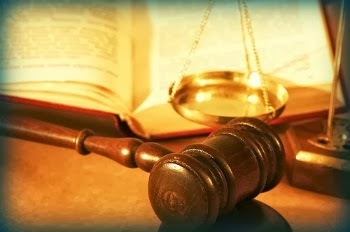 The ruling also would make it legal for individuals to transfer ownership of a firearm as a gift or through a private sale as long as the recipient was at least 18 and had a firearm owner's identification card. Chicago Tribune reporters Dahleen Glanton and Jason Meisner tell the story. 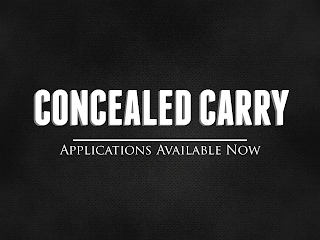 Illinois residents can officially apply online for a license to carry a concealed firearm as of Sunday, November 5, 2014. Applications are being accepted on the Illinois State Police website. 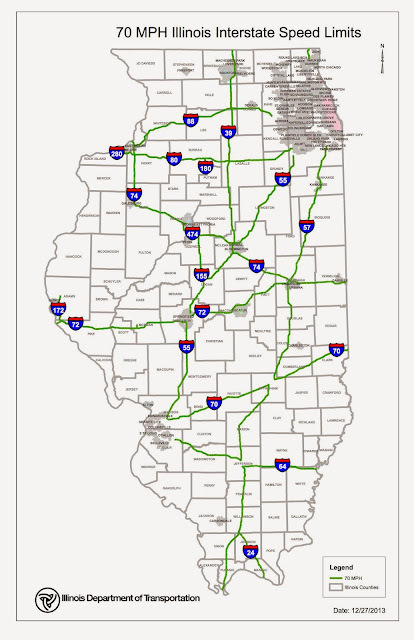 The following measures will continue to be taken by Illinois state agencies in response to the ongoing extreme winter weather affecting more than 90 percent of the state. State crews continue working around the clock to keep residents safe and to respond to any emergency situations that may occur. 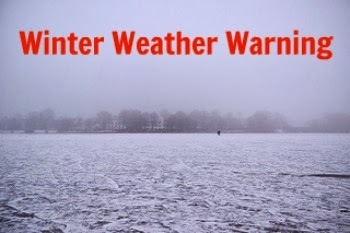 Residents are being urged to keep close tabs on their neighbors and families, stay inside as much as possible, limit their exposure to the cold temperatures, dress in layers and keep pets indoors.